Just outside of Smith Rock State Park about 2 miles from the Gray Butte Trailhead is Cyrus Horse Camp. 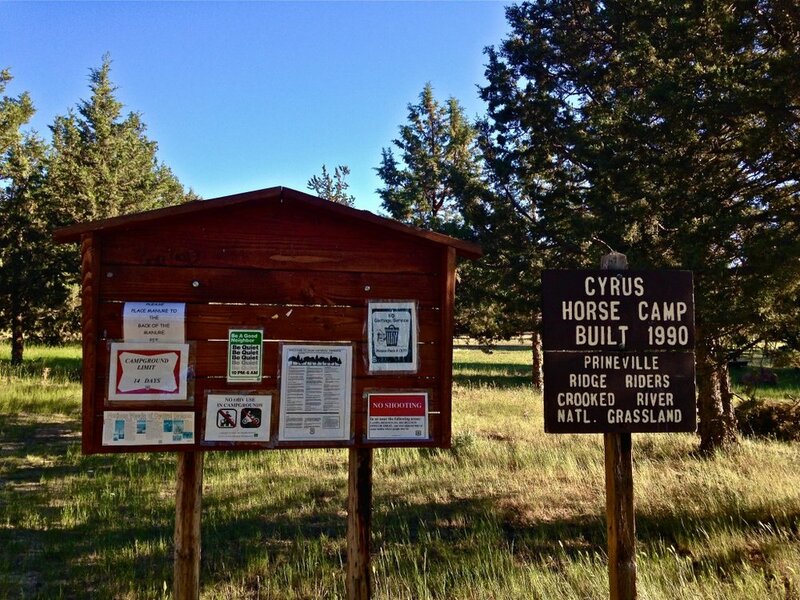 At around 3500' elevation, the Cyrus Horse Camp resides on BLM land. With water and bathrooms for humans as well as stables (and water) for the horses, it's a comfortable set-up for you and your ride. 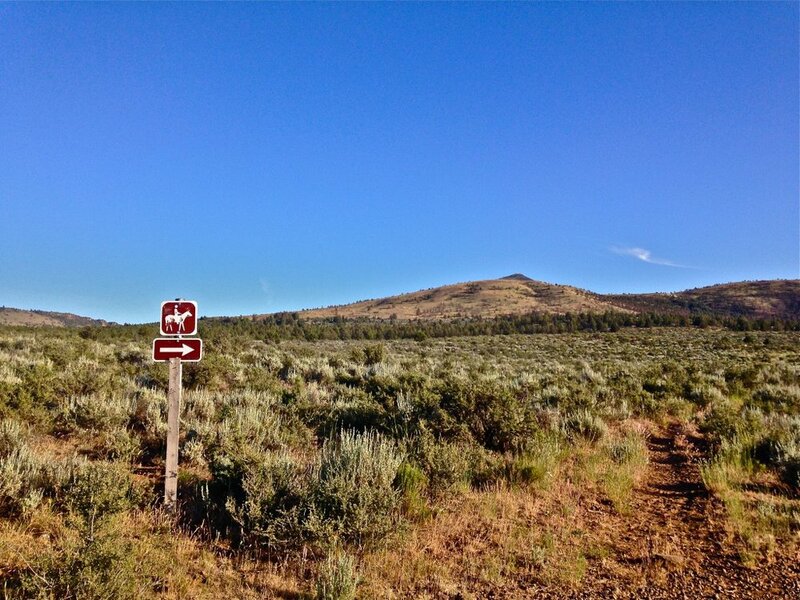 Perfectly situated to do multi-day explorations of the Gray Butte, Cole, and Warner Trails, many paths lead to the Gray Butte connector trail. Once there, it takes you to Burma Road Trail inside Smith Rock State Park. From there you can pick up the Wolf Tree Trail along the scenic Crooked River. Of course, with all the BLM trails you might just decide to stay there and be closer to dinner back at camp. Check out the Forest Service map for all your options here.